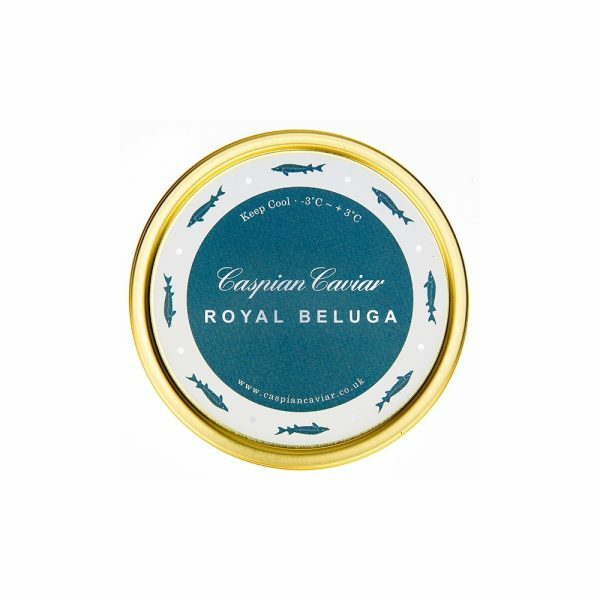 This Beluga Caviar is one of the best we have tasted and many of our regular customers agree. These presentations make beautiful and tasteful gourmet or corporate gifts and special starter for two, Birthdays and other special occasions. 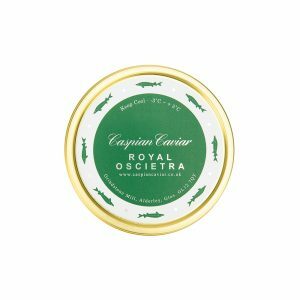 And 50g is just right if you want to enjoy a top quality caviar, in a decent quantity, without spending a fortune. It comes from a spring fed, out door farm in Western Europe where the attention to detail is phenomenal and this tells in the taste. Beluga Caviar has the largest egg and is the most expensive of all the usual sturgeon caviars. 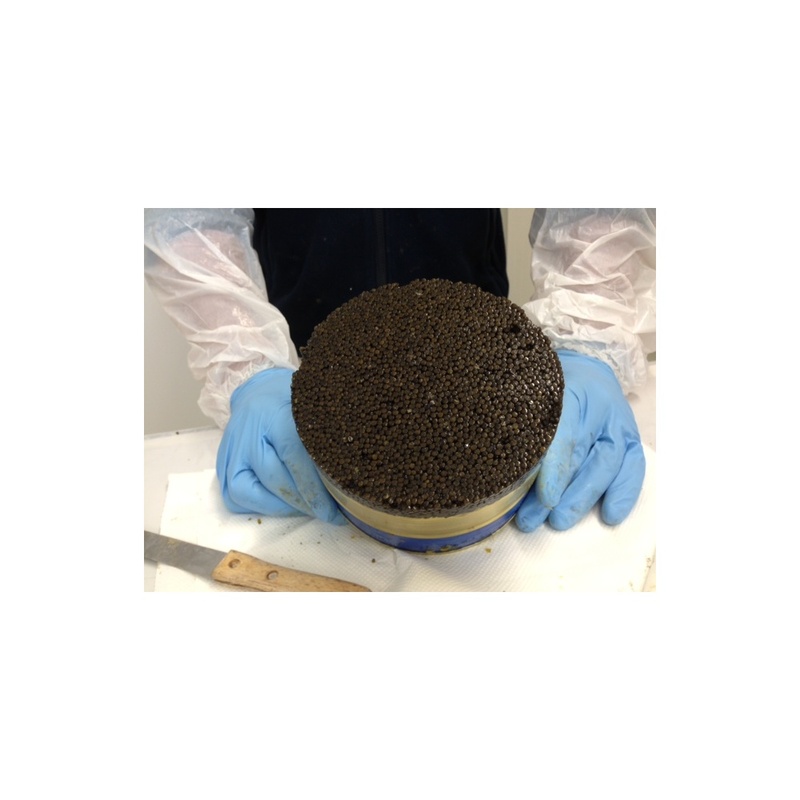 This Beluga caviar is from Huso Huso/Baerii (Beluga/Siberian) hybrid stock, which is the mainstay of farmed Beluga production as it reaches maturity some 10 years quicker than a pure Beluga sturgeon. 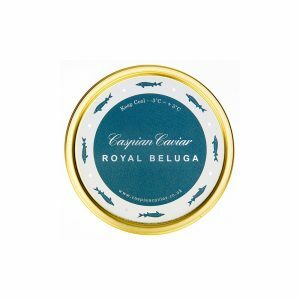 This caviar has the egg size and taste expected of Beluga, but not the price. 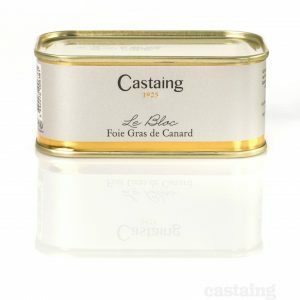 The eggs are dark grey in colour, 3 – 3.5mm in diameter and have a fine creamy taste, with a hint of walnut.